Bungie has put out a hotfix for Destiny 2 making several changes to the game, including makeing the challenging Ace of Spades quest easier. 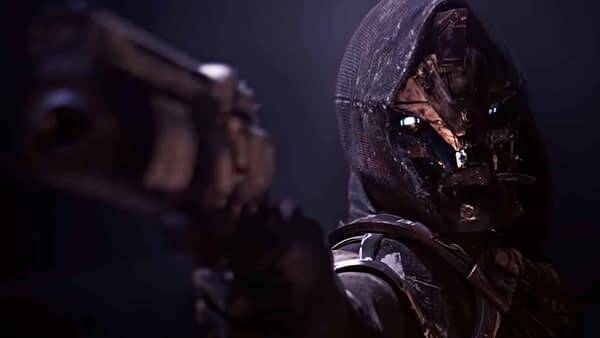 Destiny 2: Forsaken has now moved past its exciting discovery phase after three weeks and is now manoeuvring into the world of the ongoing grind that will really drive the player base. As we move into it, the problems with the game that need tweaking are starting to rear their head. There are some important conversations about the economy especially around infusion and certain other complicated actions in the game. With that, more meaningful patches are bound to be on the way. Well, we’ve got a new hotfix to mull over that changes some important aspects of the game. The most important and the one that will please those who have been struggling with it, is a change to the first step of the Ace of Spades bounty. Basically, the first step in the quest had you having to land final blows on players who invade your game in a Gambit match with a hand cannon. This is tough as a lot of invaders prefer to use long distance weapons, out of hand cannon ranges, as well as you are contending against other team members to get the final blow. Well, now you can get kills for the bounty by ‘defeating either invaders or general enemies with Hand Cannons’. This should make this first step much more attainable. I’m enjoying my time with Destiny 2: Forsaken immensely. The Ace of Spades is an excellent Exotic weapon too for just about any activity, and with it even easier to get, I expect it will flood the Crucible now. Of course, there will be some who are upset they did it the hard way (I did it that way too), but I suppose now you should just keep your head held high at your achievement, but also happy others can get the weapon now too.